Knock knock. Who's there? 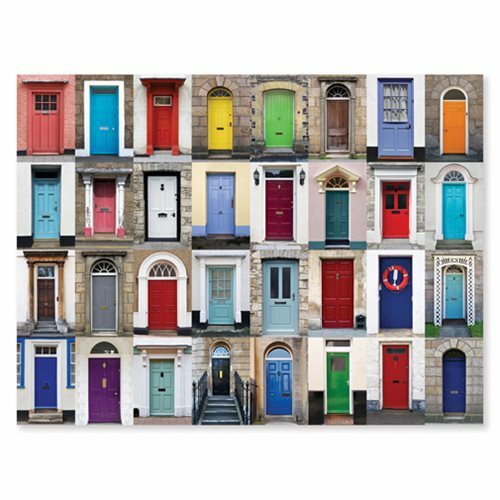 With this delightful 29-inch wide x 23-inch tall cardboard Knock Knock 1,000-Piece Jigsaw Puzzle, you'll enjoy exploring dozens of doors in all shapes and colors! The high piece count makes for a more challenging puzzle experience that's great for adults and children, ages 12 and up. Melissa & Doug cardboard jigsaw puzzles are made from durable, high-quality materials. The sturdy pieces - each uniquely shaped - resist peeling, fading, and creasing, so the stunning high-gloss artwork will look terrific for years to come. Ages 12 and up.